New beginnings are always tough, but I’m more than experienced in starting over. I’ve done it a thousand times before, with a thousand different faces. I guess that sounds a bit… well, odd, does it? Don’t worry, I’ll explain myself. If you want to understand, though, you have to abandon all of your conceptions of what is real and what is not. You have to give up on your silly, human notions of what is possible and what isn’t. I am not a possibility — I am an inevitability. I am what your life will eventually come to, whether you will it or not; I am that long sleep and an earthen embrace. Of course, your very conception of what I am is skewed. I am not a creature who roams in a robe with a scythe. I am not a singular entity. There are thousands of my kind, and we all reap the souls of the humans around us. We are unseen, but sometimes felt — you equate us to ghosts when the memory of your loved ones resonate within us. You equate our presence to the chill that spills down your spine, and to the shimmering shine that you call ‘orbs’ within your photos. Sometimes, it is one of my kind. 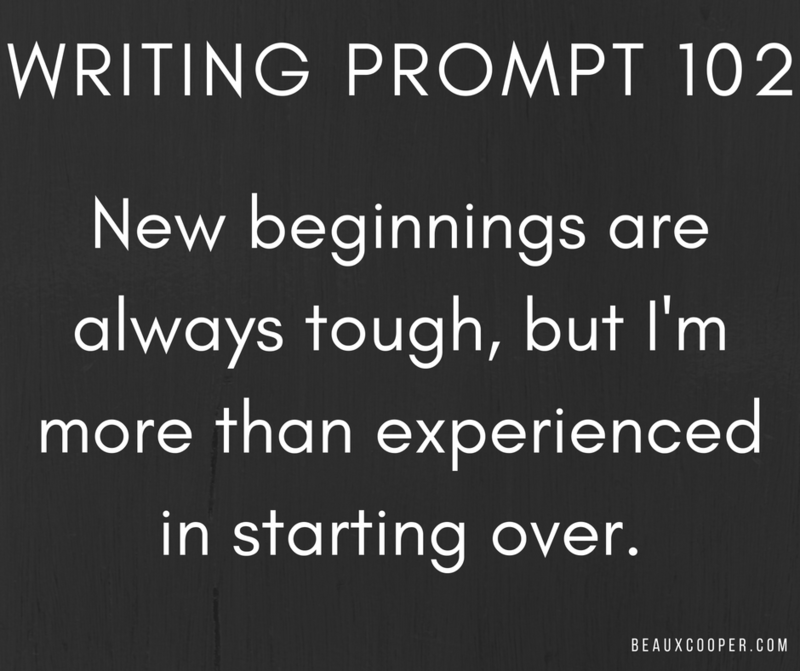 New beginnings are always tough, but I’m more than experienced in starting over… because I’ve lived a thousand lives. When a human succumbs to death, I sometimes choose to slip into their skin, to assume their life. Their soul flees and flits, I absorb it into my being… and I become who they are — who they were. Sometimes, I enjoy living life just as much as you do. I want to feel; I want to experience. When a young girl has suddenly become sexually promiscuous without cause, perhaps I am to blame. When a rich man tosses aside his fortune to travel the world and live life to the fullest? That’s me, too. And when a seemingly innocuous and innocent individual suddenly goes on a murderous rampage. Well, sometimes I like to cause a hassle to my brothers and sisters. Just a writing prompt I did for my discord server! I’d love to see what you guys could come up with for this though! Hey everyone! It’s been just a bit, but I had a thought as I was working on 4thewords today — I have a maximum amount of words that I want to get written every day, and I usually end up hitting that max… but… something you might not know about me is that I’m actually pretty bad at social situations. Like, I have a battery, and if I use it all up… well, I have to let it recharge for quite a bit of time. Yesterday, I was out all day. In the morning, I played Pokemon Go for hours to get a black Charizard (Yeah, I’m one of those nerds xD I don’t care to tell you as much.) After that, I was home for a few hours (getting some work done), and then we went right back out to a BBQ to hang out with some friends that we haven’t seen for a while. We were there for 6 hours. My battery not only died. I think it exploded. I don’t have a battery… I’m having to reorder one, and it’s taking a month to ship, I swear. Honestly, though, I’m so peopled out and exhausted today that I just kind of wanna hang out with my baby and play some video games. So… I’m doing the minimum. 4thewords has given me a perfect minimum. 444 words. I have to do that many to get my streak for the day. Sometimes, doing the minimum is the best thing that you can do. Sometimes, you have to take care of yourself and not push it. It’s important to have multi-tier daily goals. The small one that you know you can get, even during a bad day… and then a big one that you strive for. I have 444, and I have 2k. Today is a 444 kinda day. It’s still so important to have a daily goal and to hit it every day, because that’s how you form the habit of writing… but it’s also important to have in a net of self-care. It’s about finding that balance. So, find your balance! Set your goals. I’d love to hear them in the comments below! So, that’s my bit of advice for the day ❤ I hope it helps, and I’d love to hear your thoughts! If there’s a subject you want me to touch on for the next blog, leave it in the comments or email me! Deciding a project is always hard to do… and I’m having that issue right now. I’m doing my commissions, and I’m working on getting a very good rhythm going with those. I’m pleased on that front… but I’m still torn about which project I want to select as the novel that I really focus down on and polish until it shines. You need to surround yourself with people who understand your needs, and who understand your desires. Look for a writing group, make some writer friends ❤ You won’t regret it! Here I am, making a new playlist. I feel like I end up doing this at least once a month… but it’s within reason. Music is an amazing thing, and it is capable of eliciting certain emotions, thoughts, and feelings. It can transport us to a mind frame that we wouldn’t be able to otherwise achieve. I’m making one for commission writing now. It’s not pertaining to any commission in particular, but instead just to writing them overall. It’s different than when I work on personal projects, and as such I should treat it that way. I haven’t gotten around to doing this yet, so it’s nice to get it going. It’s something that I’ve been meaning to do for a few weeks now, so to sit down and work on it is something fun that is also work-related. If you have a spotify, you can have multiple easily accessed playlists. I really recommend it — I pay for the premium so I don’t have to have any advertisements. Totally worth it, in my opinion. Anyway, that’s what I’m working on. I’ll actually link the playlist here, so anyone who wants to can go and check out my weird, eclectic taste of music. If you want to share your playlists, or if you want to suggest a song, I’d love to hear it! *Eyes header* Daily writing… oh, I’m supposed to be doing that, huh? I’ve finally hammered myself out a proper schedule that I want to start with again, and I am determined to keep with it. That is one of the hardest and best things that you can do when you’re really trying to establish a writing habit. You (and when I say you, I mean me xD And it might work for you, too) need to have some sort of game plan when it comes to your writing if you are trying to take it seriously and make it a job. I’m not saying that you have to have a strict and stringent amount that you always stick to. I’m not saying that the world will implode if something happens and you can’t do it. But having a plan, mapping it out, figuring out your goals for the day? It helps a lot. It gives you boxes to check when you’re done and a feeling of accomplishment when you’ve done it. You did it. Congrats. Yes, you can keep going. Yes, it’s awesome if you do. But you don’t have to. You can rest, and you can rest without feeling guilty. I don’t know if this is a problem you guys run into a lot, but I know it’s something that I’ve had issues with more than once. Oh, man. That feels like all I’ve been able to do lately… playing peekaboo from around my child and prodding at my writing. I’m still managing to get things done on my commissions, but it’s set me behind on blogging. I am going to change that though. I want to get back to posting at least 2 times a week ❤ You guys have been amazing! My husband and I are going to try to buy our first house soon instead of this renting business! It’s just gotten me even more serious than I already was about writing and making money off of it. If you’ve been enjoying my blog or anything of the sort, please check out my link, or my PATREON, which are both in huge support of my writing, and the content that I can produce with this blog. I’m going to be going double and triple time here in trying to get out blogs/commissions/articles and anything else that I can do to help scrounge and save for a downpayment to a house! And therein is the writing tip of this blog. I have had so many people ask me how I get my focus, and how I concentrate and get so much writing done. The simple fact is this: there’s no easy trick. There’s no magical tip that will make you bust out words like there’s no tomorrow. It’s all about dedication, it’s about focus, and it’s about being willing to put in the time and effort that it takes to get things done ❤ Get an accountability buddy and get to. If you need one, I’m always happy to help! Anyway, that’s all for this short blog, but expect a lot more and more frequently! If you want a commission, feel free to contact me at amandaleannemccormick@gmail.com! How has your writing been going, guys? I’d love to hear about it in the comments! And remember, Camp NaNo is right around the corner!